Will Sarri's Arrival Help Eden Hazard Rediscover His Form? Chelsea have a number of world-class players in their squad, although Eden Hazard is undoubtedly the star attraction for the Blues. The Belgian playmaker helped his side to the Premier League title under Jose Mourinho but his form took a nosedive last season under Antonio Conte. He announced his return to form in Russia this summer and Chelsea fans will be hoping that he can return to his imperious best under the new regime. During the summer tournament, Hazard chalked up three goals and two assists and impressed during his side's run to the World Cup semi-final. As a result, the 27-year-old has been eased back into action slowly throughout August and he played just 14 minutes in Chelsea's 3-0 victory over Huddersfield on the opening day of the new Premier League season. In that short time on the pitch, statistics show that he completed as many successful dribbles as anyone else in the top flight and he is starting to display glimmers of being back to his best. He is likely to be afforded plenty of freedom under Sarri's system and should relish the chance to pour forward at every opportunity. He netted just 12 times last year which was four fewer than during the 2016-17 season and only claimed four assists throughout the entire campaign. He is already off the mark for this season, expertly setting up Pedro's late strike against the Terriers. Maurizio Sarri arrives from Napoli and has already begun to overhaul Chelsea's counter-attacking style of play which had been implemented under Antonio Conte. His side netted 77 times in Serie A last season and won 74% of their matches, almost snatching the title away from Juventus in the process. He was also responsible for reinventing Hazard's fellow countryman Dries Mertens as a striker and he duly responded with 46 goals across the last couple of seasons. The Neapolitan has suggested that he may take a similar approach with Eden Hazard. 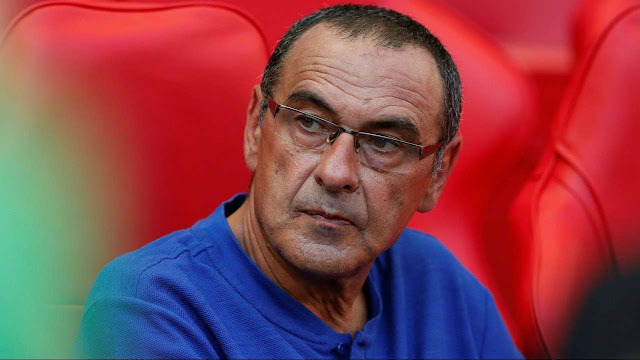 Chelsea should be a vastly improved outfit under the impressive Maurizio Sarri. They finished fifth last season and netted just 62 goals and despite a defeat in the Community Shield, fans are quietly confident of a successful campaign. Hazard is likely to play an integral part in their progression this year and he has been priced up at 12/1 to win the PFA Player of the Year in the latest Premiership odds from Betfair and he should thrive this season. Hazard enjoyed playing in Roberto Martinez's 3-4-3 system at the World Cup where he was alleviated of the majority of his defensive responsibilities and Sarri's possession-based game should also suit the Belgian's skilful style of play. He is also likely to make Hazard centre-of-attention and most of Chelsea's forward play should go through the former Lille man. It's an exciting time to be a Chelsea fan and fans are relishing the chance to witness the likes of Hazard and Willian improve under Sarri's tutelage. The Belgian is one of the Premier League's most talented players and he should be able to play with the brakes off this season and that will surely benefit the Blues and help them improve upon last season's fifth-place finish.